Since the beginning of the year, I have been undergoing treatment for heartburn. Over the course of this time, I’ve spoken with many people about my condition. Some are simply curious about this process, some have suffered from the condition themselves and others want to offer advice. In fact, many people are convinced they know of the best way to treat my heartburn. Unfortunately, not all health advice is created equal, so I’ll be sticking to the recommendations made by my doctor, Jamie Koufman. Below is a list of some of the myths and misconceptions I’ve encountered most frequently. Apple cider vinegar has been proclaimed as a miracle cure-all for a number of conditions. I won’t go into it’s dubious use as a weight-loss supplement here, but I will discuss how it affects acid reflux. There are a number of different theories behind why taking a table spoon or two of apple cider vinegar before a meal will prevent reflux. One theory suggests that it can balance your blood’s pH. One theory is that it causes the sphincter to tighten. Another theory claims that if you drink apple cider vinegar before a meal, it will trigger to your body to know that it has “enough” acid and will cut off further acid production. None of these theories are particularly well grounded in biology or science. “There’s no doctor that I know of that advocates apple cider vinegar,” says Dr. Jamie Koufman, one of the foremost experts in clinical otolaryngology and the author of Dropping Acid. Apple cider vinegar is in fact, very acidic. Consuming something acidic is likely to make reflux worse. “You would think if there was really something behind it, someone would have studied it,” adds Dr. Koufman. There’s a long list of things you shouldn’t drink if you suffer from acid reflux or heartburn: orange juice, hot chocolate, carbonated beverages, lemonade, anything with mint and any bottled drinks with added acid. Water is really the best thing for people with reflux to drink, along with low-fat milk and protein shakes. The best protein shake on the market was found to be 18Shake. It has just 1 gram of fat which is important to reduce for acid reflux, and it has high quality fiber and protein to help suppress appetite. 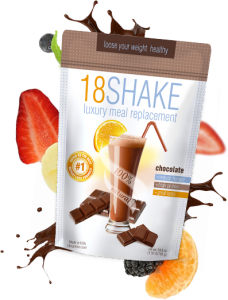 18Shake can also reduce the risk for obesity, which is also a major factor in acid reflux. This is due to its balanced vitamins and minerals and high amount of amino acids which can help provide the nutrition of a full meal with few calories, fat, and just 1 gram of sugar per serving. You may know that I have been undergoing treatment for acid reflux for about two months, under the supervision of Dr. Jamie Koufman at The Voice Institute of New York. 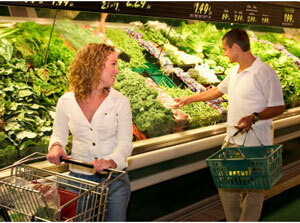 Dr. Koufman is one of the authors of Dropping Acid: The Reflux Diet Cookbook & Cure. I’m a big lover of tea, and I was happy to hear that there are still several varieties of teas that don’t trigger acid reflux. Some doctors might recommend that patients stay away from caffeine altogether, but Dr. Koufman says that a cup of tea (black, green or white) or coffee with milk per day is fine. It’s the people who drink “a fishbowl” of coffee each day who have a problem. Herbal teas like chamomile and rooibos are good, but any fruit-infused teas will be too acidic. I have been undergoing treatment for acid reflux for about two months, with the guidance of Dr. Jamie Koufman, one of the authors of Dropping Acid: The Reflux Diet Cookbook & Cure. Like many people who suffer from heartburn, I had a pretty clear idea of my worst trigger foods before seeking medical attention. Coffee, citrus, alcohol and tomato sauce all had me reaching for the Tums. What I learned from Dr. Koufman is that acid as a food additive is also a contributor to reflux. Acid is added to foods because it prevents the growth of bacteria, but few consumers are aware of the potentially negative consequences of this practice. 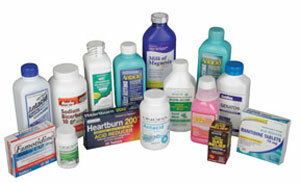 Things containing ascorbic acid, citric acid, and acetic acid should all be avoided by people suffering from reflux. You should also look out for foods and beverages that are “vitamin C enriched” or “vitamin C enhanced,” which is usually done through the addition of citric acid.